“Did you hear the one about the frequentist . . . Such jests may work for an after-dinner laugh, but if it turns out that, despite being retreads of “straw-men” fallacies, they form the basis of why some reject frequentist methods, then they are not such a laughing matter. But surely the drubbing of frequentist methods could not be based on a collection of howlers, could it? I invite the curious reader to stay and find out. If we are to take the criticisms seriously, and put to one side the possibility that they are deliberate distortions of frequentist statistical methods, we need to identify their sources. 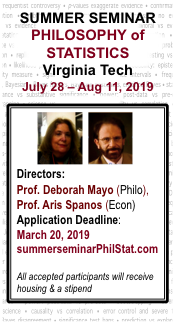 To this end I consider two interrelated areas around which to organize foundational issues in statistics: (1) the roles of probability in induction and inference, and (2) the nature and goals of statistical inference in science or learning. Frequentist sampling statistics, which I prefer to call “error statistics,” continues to be raked over the coals in the foundational literature, but with little scrutiny of the presuppositions about goals and methods, without which the criticisms lose all force. Never mind that frequentists have responded to these criticisms, they keep popping up (verbatim) in many Bayesian textbooks and articles on philosophical foundations. The difficulty of articulating a statistical philosophy that fully explains the basis for both (i) insisting on error-statistical guarantees, while (ii) avoiding pathological examples in practice, has turned many a frequentist away from venturing into foundational battlegrounds. Some even concede the distorted perspectives drawn from overly literal and radical expositions of what Fisher, Neyman, and Pearson “really thought”. 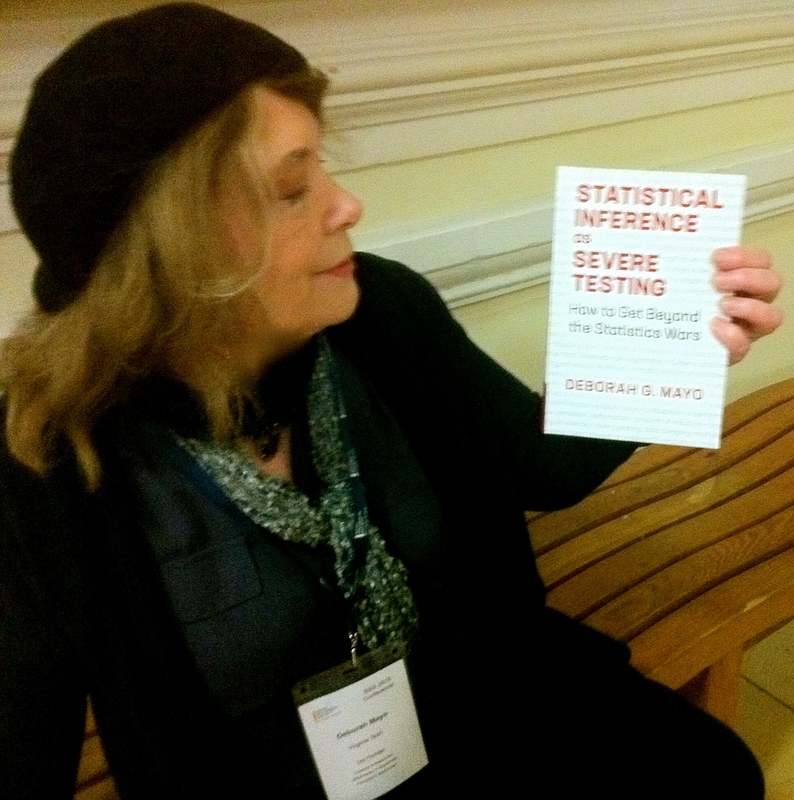 Many others just find the “statistical wars” distasteful. Here is where I view my contribution—as a philosopher of science—to the long-standing debate: not merely to call attention to the howlers that pass as legitimate criticisms of frequentist error statistics, but also to sketch the main lines of an alternative statistical philosophy within which to better articulate the roles and value of frequentist tools. Let me be clear that I do not consider this the only philosophical framework for frequentist statistics—different terminology could do as well. I will consider myself successful if I can provide one way of building, or one standpoint from which to build, a frequentist, error- statistical philosophy.